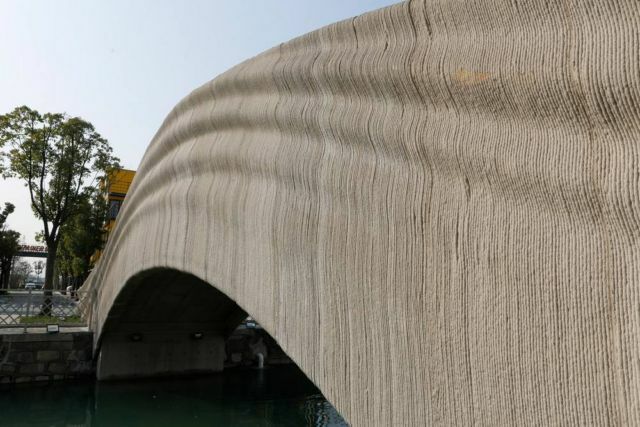 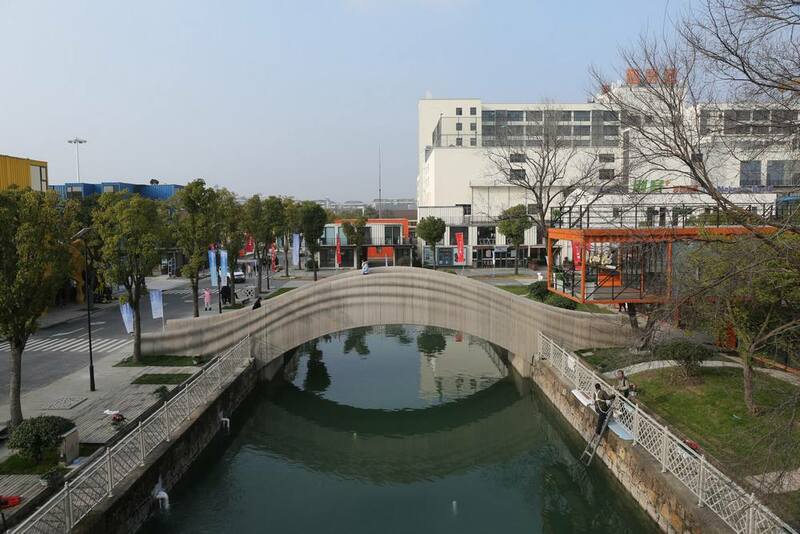 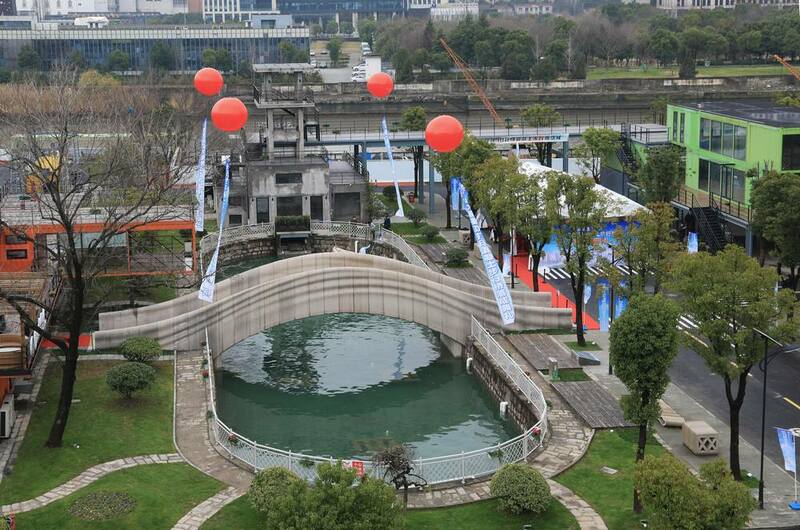 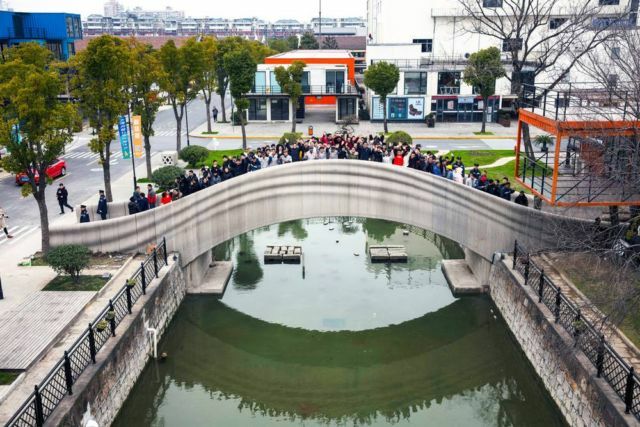 The 26.3 meter long, 3.6 meter wide pedestrian bridge, over a canal in Shanghai’s Baoshan District, was inspired by the 1,400 year old Anji Bridge in Zhaoxian, China’s oldest standing bridge. 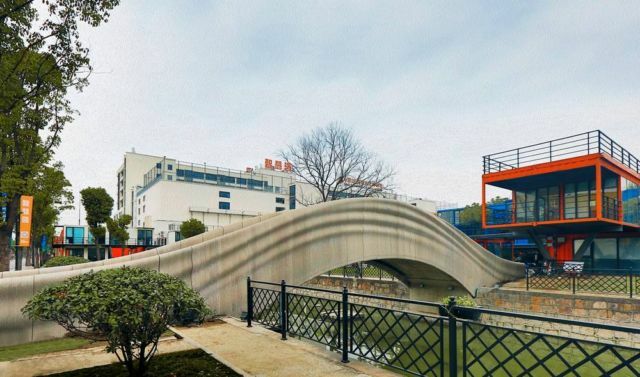 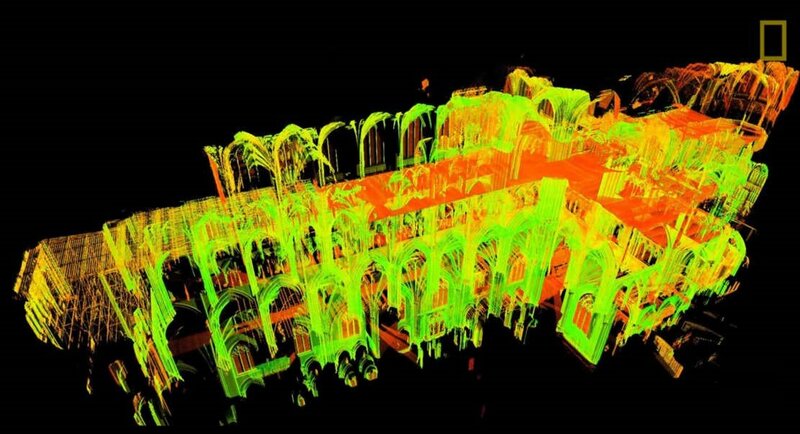 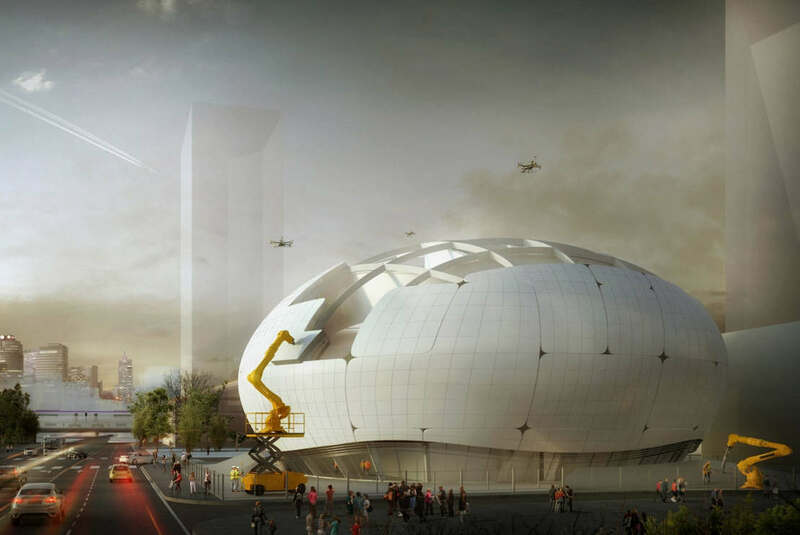 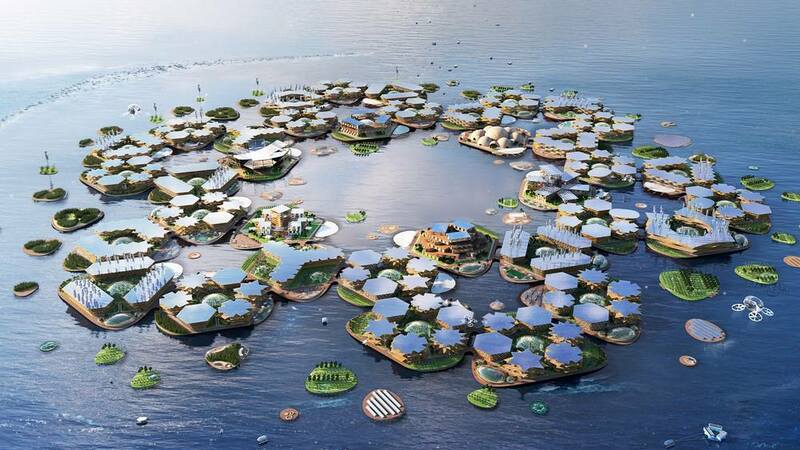 Designed by Tsinghua University School of Architecture’s Zoina Land Joint Research Center for Digital Architecture (JCDA), was built by Shanghai Wisdom Bay Investment Management Company. 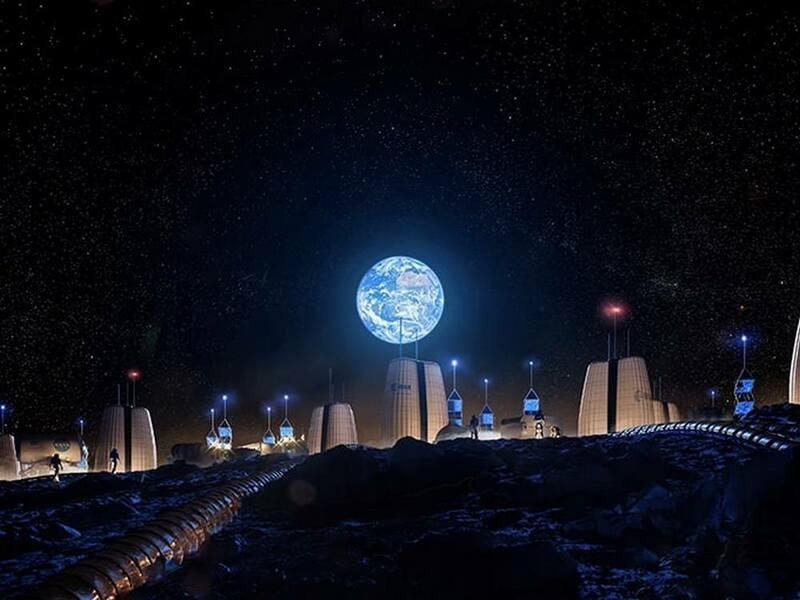 “The completion of the pedestrian bridge marks a gratifying step for this technology from research and development to practical engineering applications.